Stumbled on this cable today, it has 4 pins, of which only three are actually in use. It was found with a quick installation guide of an old DVD-ROM IDE drive and nothing else except some screws, so I'm not even sure it actually belongs to this. My best guess is that it's a power cable, but according to Google, it doesn't looks like one that comes with an IDE drive. That was used to connect the CD drive to the soundcard / mainboard, it's an (analogue) audio connector. A cable used to send audio CD sound to the computer's sound card. When playing audio CDs, CD-ROM drives output analog sound to both a headphones jack and external connector just like a CD player. This method [was] the way audio CDs [were] played on a computer, but it was the only method available on earlier CD-ROM drives for extracting data from an audio CD. By the mid-1990s, most CD-ROM drives could pass the digital data over the computer's bus (see digital audio extraction). [Later, PCs used] a standard four-pin cable; [earlier] cards and drives used connectors with three to six pins. Finding the right cable was a problem, and the earliest drives had no connector. An advantage of the multimedia upgrade kits that were popular before CD-ROMs were standard issue on a PC was that they included the card, drive and the correct cable. In lieu of this connection, a stereo cable from the headphones jack of the drive to the AUDIO IN of the sound card could always be used. Also early drives would have custom interfaces and sound cards would need to support multiple plugs. You could find old SoundBlasters with 2-3 cable headers. 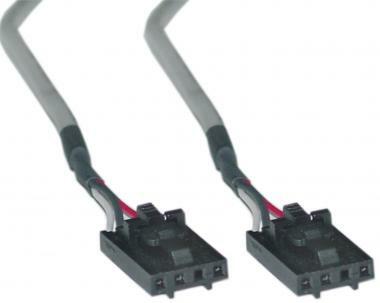 The four-pin cable had become the standard during the mid 90s. In the ancient days of CD/DVD drives (i.e. the 1990's), the drive would connect via analog to the audio input on a sound card or motherboard with built-on sound. The purpose was to be able to play audio CDs. In those days, reading the audio digitally from the disc over the data cable meant that the processor had to decode and play the audio over the bus to the sound card. That was a pretty significant chore in those days. Nowadays, computers are so fast that playing audio doesn't even register a blip in task manager anymore, so these kinds of cables are irrelevant now. That is an analogue audio cable for ODD. Actually it has a long story. In the past (about 15~20 years ago), the reason of using that cable was not just to save CPU power. At that time, that was the only way to play an audio CD using an ODD! The sound was coming through this analogue cable and then a PC sound card just passed it to speakers, just like line-in inputs. It may sound odd for you, but it's true. The technology to directly extract digital data from a CD to PC via ODD and the data cable was invented & adopted later. Say, today, it is very natural to extract CD tracks to WAV files (or mp3, wma, ..) with no problem, but at that old time, only a few of ODDs supported digital Audio CD extraction and usually they were more expensive. Isn't it interesting? I actually owned a CD-ROM drive which did not support digital audio extraction and I must connect that cable between the ODD and my Sound Blaster to listen to the music. This means, I couldn't rip my audio CD digitally! In the meantime, there was another tricky case. The ODDs started having the "direct CD audio extraction", but some of PC games at that time were on mixed-mode CDs which contain both of program data and CD audio tracks for BGM. This means, the ODD should be able to read data whilst playing audio tracks, and some ODDs did not support this way with "CD audio extraction" mode. So the analogue mode was still useful. However this limitation went away so quick that almost nobody remember this sort of nasty problem actually happened in the past. Anyway, it's just a fairy story now, and it's almost pointless to use that cable and the connectors today. All modern ODDs are able to digitally extract audio tracks and modern PCs don't have any problem to play them on-the-fly. They just still keep this analogue connectivity for no reason. Probably it's disappearing - recently, I checked some ODDs for laptops and they didn't have the connector at all. Perhaps, this cable is still useful when you're going to reuse your old ODD as a standalone CD-player, especially if the ODD does not have front phone jack. However, this may be still pointless anyway because most ODDs today don't have a play button at front panel. There might be another usage to get another analogue line input on your PC sound card as you can easily tweak one end of that cable to conventional stereo audio jack but.. there are inexpensive audio cards now to get multiple analogue line inputs for recording. Its just a 4 pin connector (although only 3 are used in that picture). It was used for connecting pins from one device to another. Jan's answer of connecting a CD drive to sound card/motherboard applies. 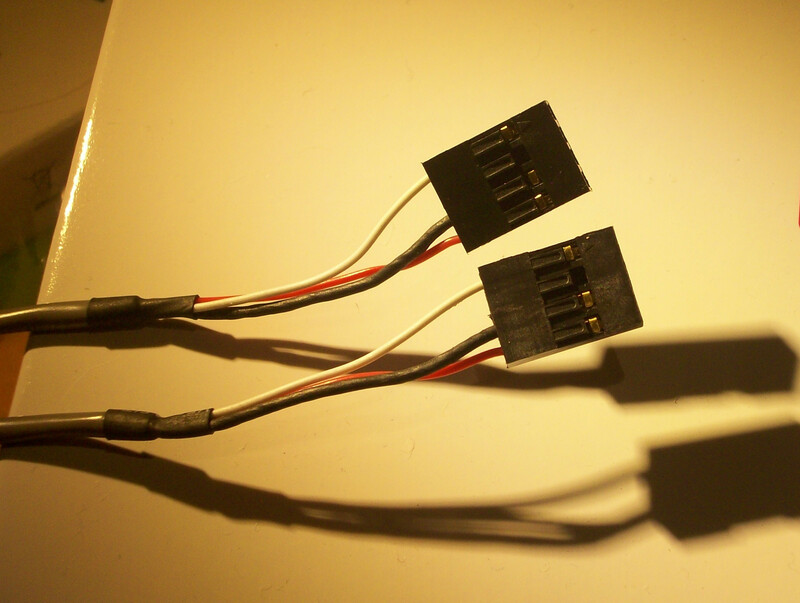 They have also been used to connect the motherboard to a PCBs on cases so that power/turbo/LED displays work. In reality they were used for just about everything and anything. Not the answer you're looking for? Browse other questions tagged dvd compact-disc cable or ask your own question. Sound output connector on CD-ROM drive? Hard Drive and DVD+RW Drive on same IDE cable? What is the end of this cable? What cable do I need to connect this motherboard DVD port to this DVD drive? Can you point me to a cable that will connect this motherboard port with this DVD drive? What is this sata-like connection to a DVD drive? Can I burn a DVD image to a DVD+RW with a DVD-ROM drive?